Evelyn Hugo is a classic film actress born in 1938. By 1955, she became Hollywood elite and remained in the spotlight for three decades. Her life has been in tabloids and on the tongues of gossipers. Everything from the risks she took, the loves of her life, her many marriages and career is newsworthy. Finally she is ready to tell the truth in her own words. But only to one person: an unknown magazine reporter named Monique Grant. Why her? No one, including Monique, knows why Evelyn Hugo chose her to report such a glamorous and scandalous life. Most importantly, Evelyn is ready to reveal a secret to the public...through Monique only. Meanwhile, Monique is going through a tough personal time. She is undervalued as a journalist and recently split from her husband. Writing a biography is just the distraction she needs, especially if it jumpstarts her career. Through interview/writing sessions at Evelyn's Upper East Side apartment, Monique learns all about the Hollywood star from her early start in the 1950s to her current life and the seven husbands along the way. Monique begins to feel a connection with Evelyn but doesn't realize how much their lives really intersect. 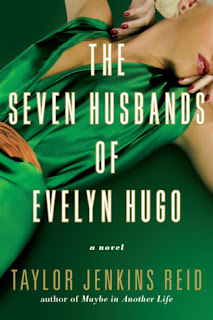 The Seven Husbands of Evelyn Hugo is like a soap opera in literary form starring a biracial main character. 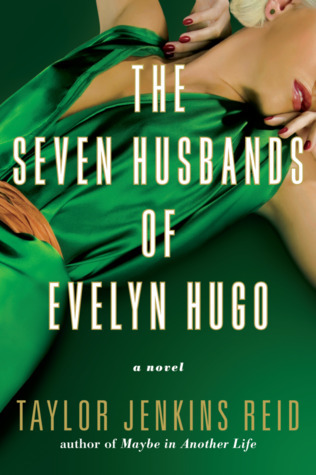 Immediately a certain real life actress came to mind but through Taylor Jenkins Reid's words, I totally fell into the unique events and world of Evelyn Hugo. I was all in, turning pages faster than they would flip. I knew a big reveal would come toward the end but it was nothing like I expected. The way Evelyn Hugo's personal storytelling resonates with Monique and encourages decision-making was well done. The story is well-paced and hardly holds any unnecessary scenes. Even the stunning cover is fitting! I can appreciate good writing...all 400 pages worth. Bookhearts, you will too.